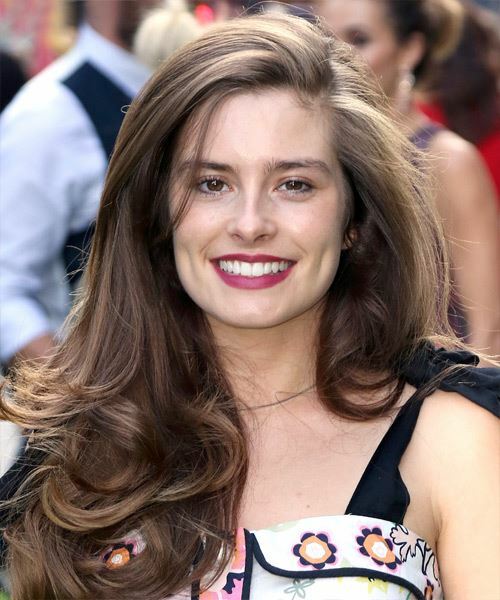 Rachel Shenton is a British Actress who has appeared on a number of British series. She is best known for her role as Mitzee Minniver on the teen drama Hollyoaks. Rachel is flaunting this long wavy hairstyle. Her bangs have been layered to shape her face in a more natural way. The bangs are not in your face. The soft curls at the bottom of the look give the hair bounce and volume. It makes your hair have a lot of life which is always uplifting in a hairstyle. Her path has been placed on the left of her face to sweep her hair more to one side. You are going to need a bit of product to lock in the curls for the whole day. Her color is all natural which is refreshing to see. Layers have been placed in her hair to give this look, even more, volume and shape. You are going to need to trim your hair once every 6 weeks or so to keep your hair looking healthy and to keep this look looking fresh and new. A simple makeup application will look great with this hairstyle and a bold lip to finish it all off. Now you can feel like you just stepped out of a hair product commercial with this hairstyle.